In the Salt Lake Civil Network (SLCN) we have a Mentor Council whose sole function is to hold an open container of possibility. Members of our Mentor Council and others in our SLCN community take their passions and energy into the community and engage with the passions and energy they find there. Then we watch what emerges. Each resulting new initiative becomes a “content network” and is self organizing in a spirit of social entrepreneurship. The content networks of SLCN include working with the homeless as part of the broader community, multi-lens community flourishing, integral journalism, modeling wellness in health care, TEDx Salt Lake City, integral public policy development, and more. We regularly ask each content network to share and cross fertilize with all other SLCN content networks, often resulting in new emergent possibilities. Our intent over time is to network with others throughout the world who are doing similar work in order to co-learn and to contribute to local/global flourishing. This work is grounded in the realization of the interconnection of individual, community and global flourishing, as well as the intimate interrelationship of one’s inner work, and one’s work in the world. Two of SLCN’s content networks emphasize inner work, one of which focuses on Integral Polarity Practice (IPP) the integrally informed awareness and life practice developed by John Kesler. The patterns of IPP echo throughout SLCN. IPP emphasizes working with primary polarities which emerge at each of the 15 stages of human development as validated by research.1 Once the qualities of each stage polarity arise, they are pervasive through the remainder of emergent human development. The most foundational IPP polarities emphasizes the importance of being present to what is arising in experience. The second stage polarity emphasizes connecting with the unlimited source of vitality or vibrancy which arises out of the place of greatest openness and possibility, which in all polarities, is called the causal still point. There is also always a subtle flow between poles, and every polarity holds the concreteness of the poles themselves. The still point of the third stage polarity emphasizes the quality of fullness and abundance, even though the primary motivations arising out of this desire/aversion polarity more typically emphasize scarcity. The fourth stage polarity brings on line the relational dimension of life. The initial experience of the “other” (as is the case with any polarity) is one of polar opposition, which evolves into cooperation, then collaboration and ultimately deep interpenetration. IPP also aligns with research regarding human flourishing,2 and for instance provides guidance as to how to emphasize and interrelate the four highest leverage patterns of human resilience in any relational environment. In short the foundational IPP/SLCN patterns deeply correlate with Ecosynomics and its foundational patterns. We are thrilled to have become more aware of this work and the Vibrancy Network. 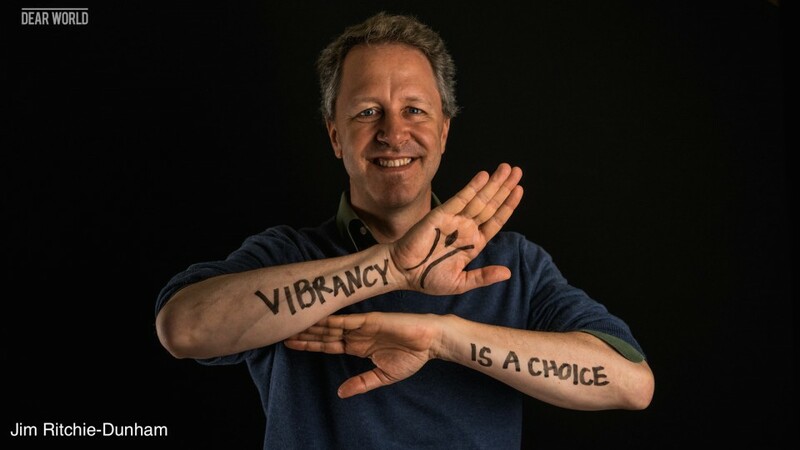 We hope to deeply engage with the Vibrancy Network and co-learn into the future. IPP has for instance aligned with much research in mind-body medicine and positive psychology.